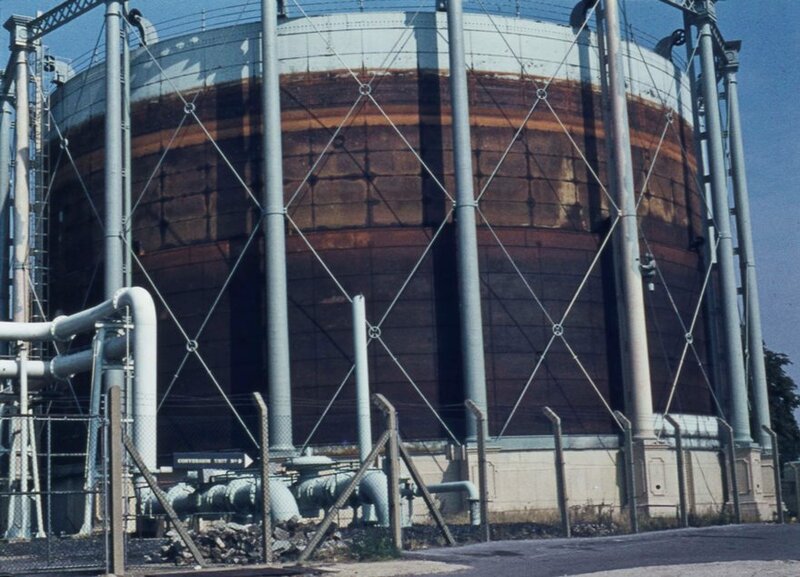 Peter Young took this photo on 25th August 1973, capturing Brentford's gasometer being re-painted: 'a Forth Bridge job if ever there was!'. 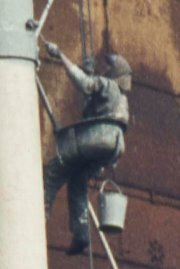 Peter sent a second image which I have cropped to show the painter - but he (it must have been a man in 1973) now seems rather more mysterious and insubstantial, swaddled in protective clothing, bucket of paint swinging below. If you are wondering what it looked like when finished, Peter has provided a photo from 1975.